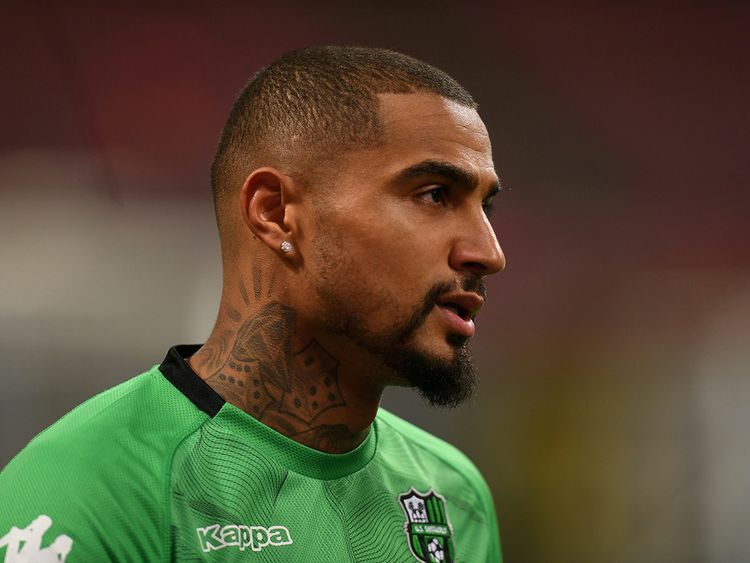 Madrid: Ghanaian forward Kevin-Prince Boateng has vowed to make the most of his shock arrival at Barcelona, after a loan move for the journeyman from Italian side Sassuolo was sealed on Monday. The leaders of La Liga said in a statement they had agreed a deal to take Boateng on loan until the end of the season, with an option to make the move permanent in the summer. “The agreement includes an eight-million-euro (Dh33.4 million) purchase option,” the club said. The fiery forward has been a successful stopgap many times before, which Barca boss Ernesto Valverde valued in his decision to bring him in. “He doesn’t seem to need much time to adapt, he knows his stuff and can start playing straight away,” Valverde. “He’s comfortable in many positions, as a central striker or playing off another striker, and even deeper too,” Valverde told the club website. The player himself was upbeat about the move when journalists spoke to him at the airport in Italy. “Barga, I’m coming! I’m sad to leave Sassuolo but this is a great chance,” Boateng said, according to a SKY Twitter feed. “But don’t ask me about Real Madrid. I only want to focus on Barcelona and I hope to score at Bernabiu for the next Clasico,” Boateng said.